If you love strategy games, especially if you wanted to get your hands on the Total War series, it’s your day! 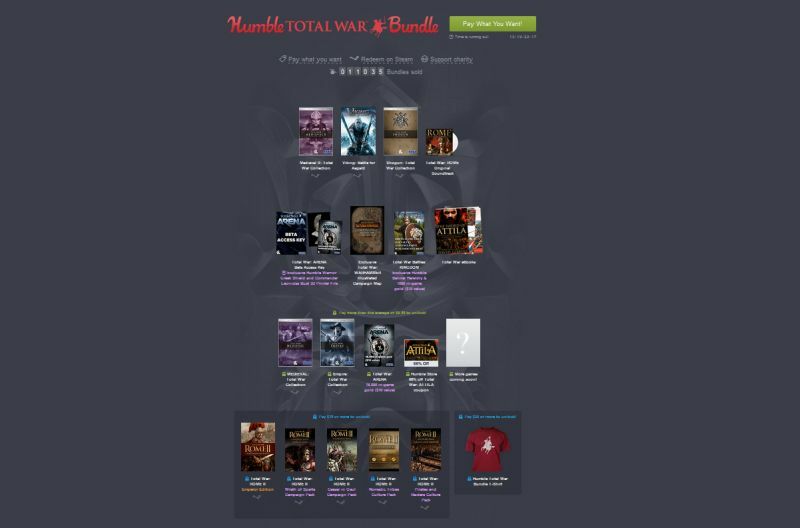 Humble Bundle has a charity running again, you can get several Total War games for an incredible low price, and meanwhile you do even donate to several charity organizations, you can even decide how to distribute the amount you spend. To be honest, this is an epic bundle, the Total War series is awesome, especially the older Total War games. If you love strategy, this is my honest suggestion, grab some stuff from the bundle! I wrote this post on September 16, 2015, you can find a timer on the Humble Bundle site to see when the offer runs out.